When you have deep love and connection with someone and the relationships ends, the love doesn't disappear. The wounds of a broken heart can heal, but the love...where does it go? I thought about the past, both mine and James, and how we all had a funny way of remembering it. And how even though we think we've kept the past in the past, it really lingers like a permanent mark on our soul. Cooking was not my strong suit. I mostly used my kitchen to house the coffee. 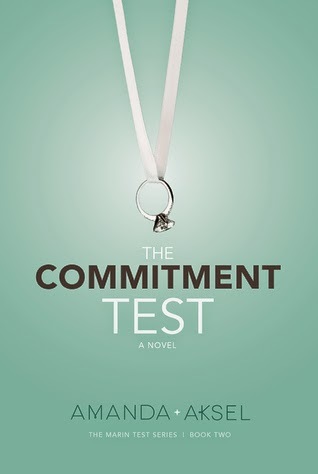 The Commitment Test is the second contemporary novel about Marin, a therapist that tells others how to save their relationships, but doesn't necessarily know how to navigate her own. She is an independent women who is good at giving advice but not so great at taking it. She jumps to conclusions, makes bad choices and loves with all her heart. She a typical twenty something woman that we all can easily relate to. Marin and James have been in a relationship for about two years already. Marin thinks it is time to start planning a wedding, but James is not even in the same hemisphere about that subject. James has been married before and just doesn't get why marriage is so important. He is in love with Marin, she's about to meet his parents and he even wants to take their relationship to the next level. The next step for James is just not the next natural step that Marin would like. This book was the perfect contemporary romance for me. The first book in this series "The Man Test" tells the story of James and Marin and how they first met. This book takes us further into James and Marin's relationship and how men and women think completely differently on the same topics. The author's writing shines through in this novel, even more than. an her last. I love the easy way she transitions from conversation to the normal scene explanations. It is seamless and on point. Amanda's writing is fresh, energetic and keeps your attention through out the novel. This writers voice reminds me of Jennifer Weiner or Emily Giffin. "Some relationships fail after marriage. However, marriage doesn't ruin relationships, people ruin them and sometimes relationships ruin themselves." An easy peasy novel with some funny scenes, quick wit and amazing character development. 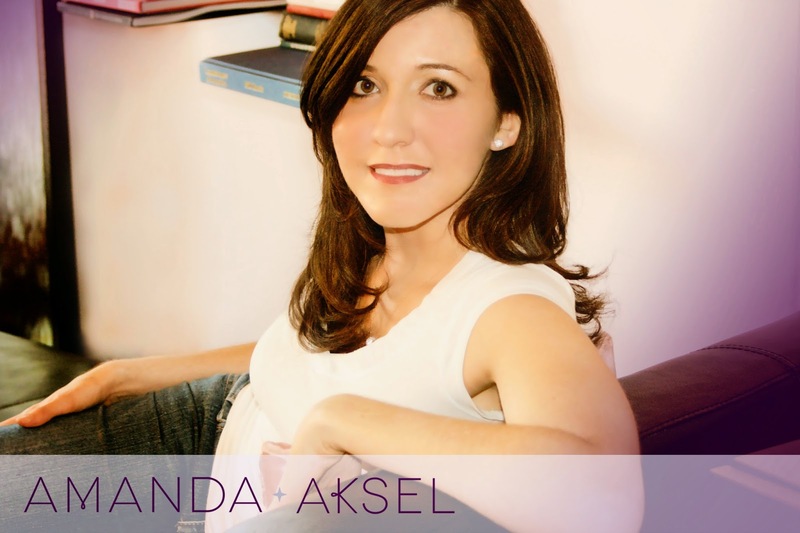 Amanda Askel is one of my favorite Indie authors. She knows how to steal a readers heart! Fitting. I've always had an affinity for love. ​﻿I had no intention of making a career in writing, because it wasn’t what I did, it was who I was. In reality, I wanted to be an actress. Ah, to be the face of someone else’s authored story. The plan was to move in with my aunt in L.A. after graduation, but had a change of heart. Instead, I stayed with my high school sweetheart (now husband) and attended a film school in Norfolk, VA. It was at this school that I discovered my love for writing screenplays and felt compelled to follow that path. But…as the practical girl I was brought up to be, I decided to go to a real university. While working full time, I completed my BA in Psychology in four and a half years. Becoming a couple’s therapist had always been my “backup” career and there I was on my way to solving love's most complicated quandaries one couple at a time. With all my new free time after graduation, I decided to turn my full-length screenplay into a novel in hopes it would help my screenplay sell. I think I was in the middle of writing chapter two when I realized that everything I had ever written was to prepare me for that moment when I knew I was a novelist. Talk about the affirmation of my life. Now my plan is to solve love's most complicated quandaries one novel at a time.